From the team that brought us the continually sold-out Kendall Calling comes a brand new small (4,000) that aims to bring the biggest and most esteemed acts to Southern England's intimate setting. 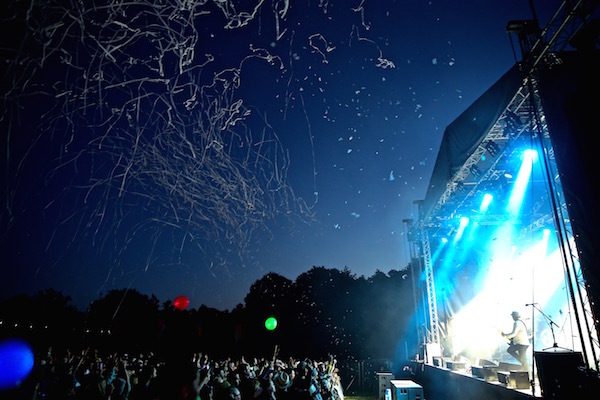 With the likes of Super Furry Animals, De La Soul and Basement Jaxx in tow, ladies and gentleman, Forgotten Fields Festival. Read our review of Friday at the festival here. 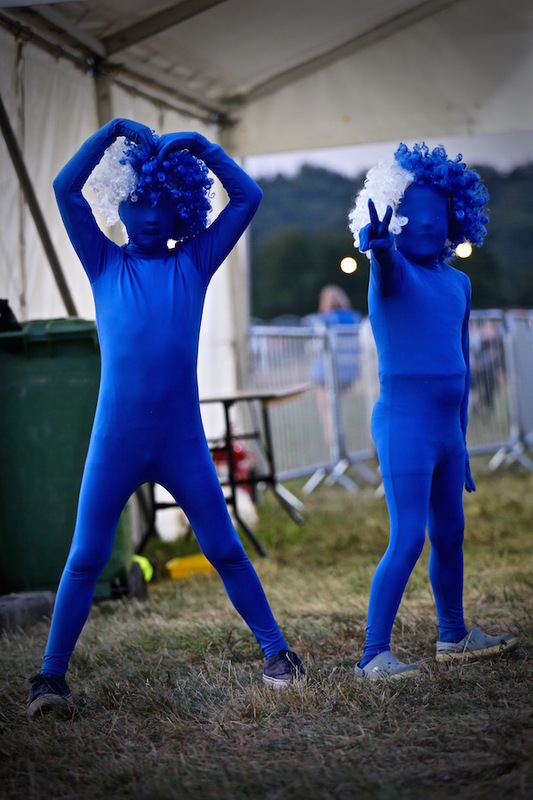 With a heatwave on the cards for the weekend Basement Jaxx take to the main stage just after 9.30 on Friday night, with a sizeable crowd gathered in anticipation for what promised to be one of the stand out performances of the weekend. 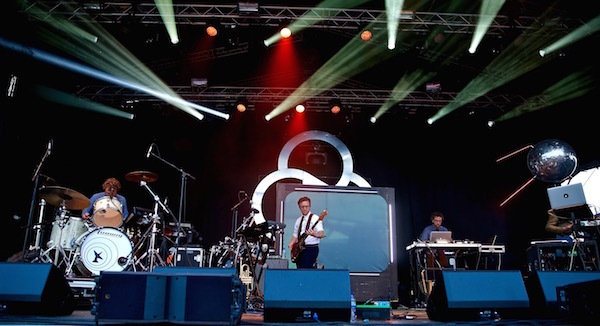 Previously Public Service Broadcasting educate, amuse and inform with their unique brand of electro art-rock. But if that set was a little short on the dancing for the crowd they needn’t have worried. With their eclectic outfits and an abundance of singers and dancers on stage you could be forgiven thinking that you were in the heart and soul of a carnival in Rio. Basement Jaxx bring the carnival spirit to the site in a hit-packed set. Whipping the crowd into a fever with tracks such as “Romeo”, “Oh My Gosh” and “Where's My Head At”, singer Vula Malinga belts out even with a foot injury and a hot pink crutch by her side, chatting to the crowd and entertaining: when did leg injuries become so rock n roll? Saturday we head to the Horizon stage to get our SupaJam on, and check out some up-and-coming talent. First Family are energetic and lively, juggling the crowd with one hand and showcasing new songs from recent EP All is Fair. No Surprise and Next X are standout songs, with the bands old indie tunes vibe and banging electric beats unifying them sonically. With the sun beginning to set, Brighton's British Sea Power take to the main stage. The crowd are all chilled out, sitting down and soaking up the bands’ distinctive sounds and back catalogue of hits from Men Together Today, Apologies To Insect Life to standout song Waving Flags that unanimously bring the crowd together to sway in the bands orchestral sound. Lead singer Jan Scott Wilkinson says "If you see us moving about its not that we're dancing it's the wasps on stage!" With the recent re-release of The Decline of British Sea Power, the stalwarts may be picking up new fans yet with performances this sound. Back at the Horizon stage 4-piece Folkestone band Native People, give a lovely performance and are wonderfully in-sync. The band bring the sound of Bombay Bicycle Club and Friendly Fires together to make a stew of anthem soudns. They draw quite a crowd and tease the crowd with a cover of Ready For Your Love by MNEK/Gorgon City that starts off subdued and grows into a banger. Next up are Tunbridge Wells locals local favourites Island Cassettes. Their set gives off a party vibe and these indie hippies certainly know how to draw a crowd as the tent fills up with singer James belting out songs such as Navajo and Angizwa with his Paulo Nutini smooth sounding voice. Over at the house party tent we manage to catch a song from Paddy Considine's band Riding the Low. Lead singer Paddy is the perfect front man for this 5 piece band who echoed the classic rock style of Paul Weller and filled the tent to the rafters. The crowd flocks to the main stage at 9.15pm for the eagerly anticipated set from Super Furry Animals. The Welsh rockers have been away for a while but judging by the crowds their well psychedelic sounds and electronic beats have brought them back into the spotlight. 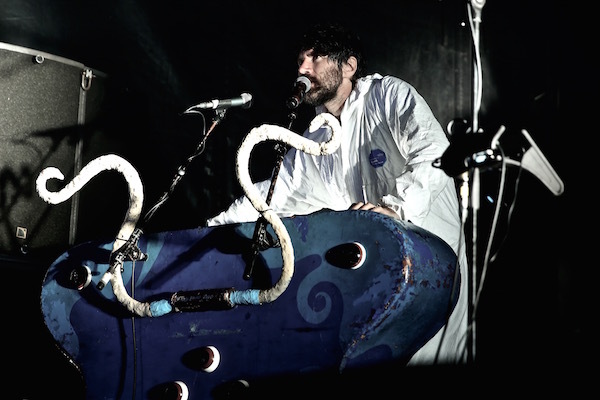 Taking to the stage in white boiler suits with lead singer Gruff Rhys wearing a motorcycle helmet to boot, they kicked off their set with Slow Life and the melodic sounds sway through the park and wash over the crowd. This was my first time seeing the band and they don't really interact with the crowd, choosing to hold up signs telling us when to applaud and when to applaud louder. They played through their back catalogue of hits from Peter Blake 2000, Hello Sunshine and the crowd couldn't get enough of Juxtaposed with U. The set was seamlessly performed but it just lacked the Saturday night festival vibe, unlike Basement Jaxx on the Friday night who - for this reviewer - is definitely the standout performers of the festival. 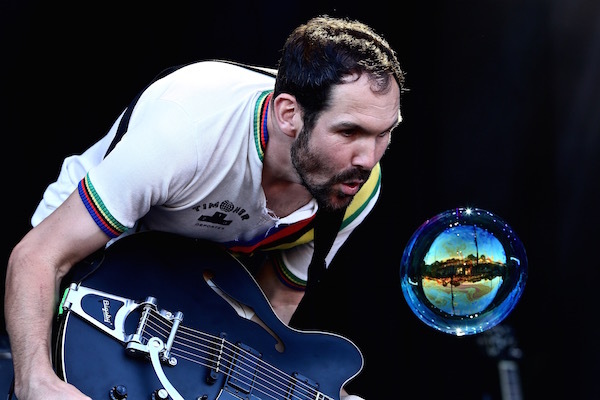 SFA ended their set by clubbing their guitars together and pausing for photos and the elated reaction from the Forgotten Fields festival goers. The sun shines come the last day of the festival, as we make our way down to the main arena on the Sunday morning and everyone refuelled with tea and bacon butties, the first song they put over the PA is the very apt: “Easy Like A Sunday Morning” is the perfect Lionel pick me up! American indie rockers Augustines took to the main stage at 5pm and don't hold back on their tightly knit and intense performance, inviting the vcrowd to become involved. The Brooklyn-based outfit are made up of British drummer Rob Allen, multi-instrumentalist Eric Sanderson and vocalist/guitarist Billy McCarthy. Playing through hits from their 2012 album ‘Rise Ye Sunken Ships’ such as ‘”Cruel City” with fiercely caveman like vibes and McCarthy’s grainy vocals shimmering over the crowd, it is a bobbing tune to start off the set. “Weary Eyes” is a contrasting piece from the band, the uplifting song transports you back to a time of misspent youth and echoes nostalgic undertones of a love that just might get back on track. They stunned the crowd with hymn style song “Walkabout”. This falsetto-led piece of vocal brilliance is reminiscent of a big ballad from the likes of Elbow. Augustines' strippped back and raw performance showcases the rockers' variety, their ease and elegance at shifting from various musical instruments from guitar, drums to piano and brass: these indie rockers are certainly here to stay and a bright future awaits them. 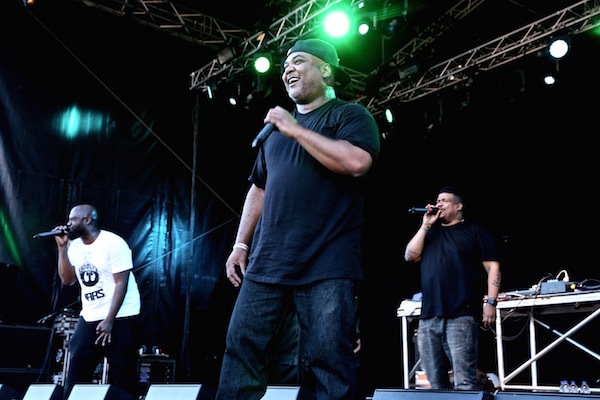 American hip hop outfit De La Soul have been going since 1987 and this group shows no signs of slowing down as they transport Royal Tunbridge Wells into a East Coast house party in '89. Following the release of their debut album ‘Three Feet High and Rising’ this group have gone from strength to strength and reached global success for the last 25 years and are still going strong. The band jump through their quirky songs with eclectic beats. The standout track had to be “Me, Myself & I” which was released back in 1989, and with its classic combination of hip hop, humour and social commentary this single hasn’t dated in the slightest. They continue with hits such as “Ring Ring Ring” “The Magic Number” and inject their Gorillaz collaboration Feel Good Inc for a feel good funk vibe. To close this first time boutique festival, the Levellers claim their spot on the main stage. The Brighton band bring their folk rock anthems to the forefront and are the perfect set to end this beautiful weekend in the glorious sunshine. Playing through their repertoire of hits such as “Beautfiul Day” which get the crowd bopping and bouncing around, it is truly a standout and memorable moment for festival-goers. They continue with “One Way” “Shadow on the Sun” “15 Years” “The Boatman” and “Riverflow”. With such energy and vitality, their performance gets the crowd jigging around to their classic folky pop tunes. 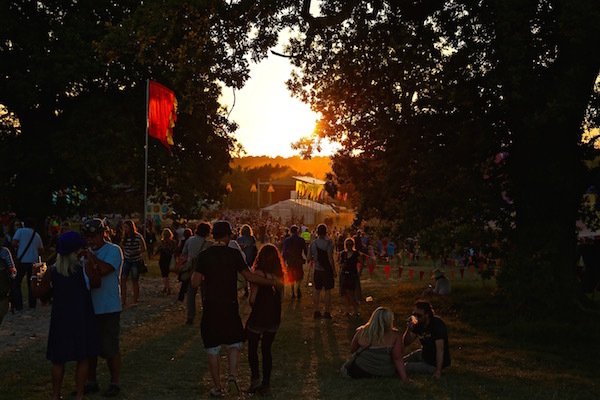 As the set comes to a close and the crowd dispersed into the disco tents and back to the campsite, it has been a truly magicial weekend befitting of a festival with such high ambitions. Echoing a smaller scale Glastonbury vibe, it is the perfect blend of big bands and intimate gatherings. 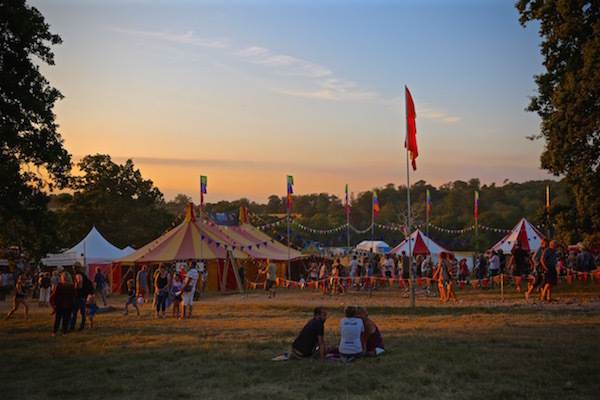 Well done to the organisers and we hope Forgotten Fields keeps it’s intimate, unique size and look forward to venturing into the fields again next year for more.